On November 20, 2017, the Department of Homeland Security (DHS) Acting Secretary, Elaine Duke announced it would end Temporary Protected Status (TPS) for Haiti. Haiti is the third country to have TPS terminated under the Trump Administration, following announcements to terminate TPS for Sudan and Nicaragua in September and November 2017. TPS was established by Congress in 1990 as a way to provide humanitarian relief to foreign nationals already residing in the United States, for whom a return to their home country would be dangerous due to ongoing armed conflict; environmental conditions such as natural disasters or epidemics (disease); or other extraordinary, temporary conditions that make return to the home country unsafe. TPS can be granted for periods ranging from 6 – 18 months at a time. TPS is available to individuals residing in the United States on the date of the event triggering the TPS designation who can demonstrate residence and continuous physical presence in the United States from a specific, designated date. In order to be eligible for TPS, an applicant cannot have any serious criminal history. Individuals approved for TPS receive a temporary Employment Authorization Document (EAD), and are permitted to extend their TPS for as long as DHS continues the TPS designation. Currently, nationals from El Salvador, Haiti, Honduras, Nepal, Nicaragua, Somalia, South Sudan, Sudan, and Yemen who were residing in the United States at the time of DHS’ TPS designation for their respective country, and registered for TPS during the designated registration period, hold this temporary status and associated employment authorization document. These individuals are also able to extend TPS through the re-registration process every 18 months, for as long as the TPS designation for their respective country is extended by DHS. DHS will extend a TPS designation where it determines that the conditions in the respective home countries that led to the TPS designation in the first place (famine, disease, natural disaster, civil unrest, etc.) continue. Critics of the TPS program argue that TPS has turned into a “permanent” employment authorization for individuals that should only be authorized to live and work in the United States on a temporary basis. While that may be true, individuals with expiring TPS are facing uncertain and possibly highly dangerous conditions in their countries of origin upon their return. Further, according to the American Immigration Council, there are approximately 300,000 individuals in the United States holding TPS, with upwards of 85% gainfully employed in the United States. Approximately 100,000 individuals with TPS are homeowners and about 68,000 TPS holders have U.S. citizen children. The Immigrant Legal Resource Center has estimated that termination of TPS will result in a $45.2 billion reduction in Gross Domestic Product and a $6.9 billion reduction in Social Security and Medicare contributions over the next 10 years. Notwithstanding the humanitarian and economic costs, the Trump Administration has clearly signaled that current TPS designations are on the chopping block. The following provides a breakdown of the various TPS designations currently in effect and their current extension period. 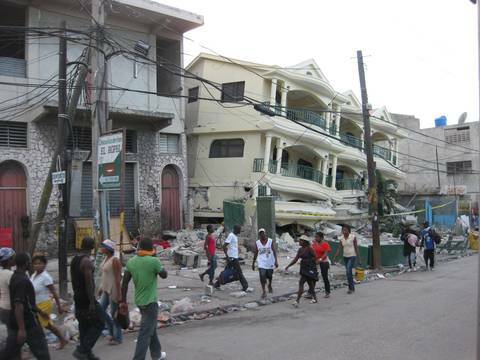 Haiti was designated for TPS on January 21, 2010. DHS redesignated Haiti for TPS on July 23, 2011. The current period of TPS expires on January 22, 2018. On May 24, 2017, DHS Secretary announced a 6-month redesignation of TPS for Haiti extending TPS for individuals holding TPS through January 22, 2018. On November 20, 2017, DHS Acting Secretary Duke announced that the agency would no longer extend TPS, and provided a delayed expiration date of July 22, 2019. Like Honduras, Nicaragua was designated for TPS in 1999 after Hurricane Mitch. Since the initial designation in 1999, eligible Nicaraguans have been able to renew TPS and temporary employment authorization every 18 months. However, on November 6, 2017, Acting DHS Secretary Duke announced that DHS will temporarily extend TPS for Nicaraguans only through January 5, 2019, after which time TPS for Nicaraguans will be terminated. Sudan was initially designated for TPS in 1997. Sudan was redesignated for TPS on November 9, 1999, November 2, 2004 and May 3, 2013. However, on September 18, 2017, DHS terminated the TPS designation for nationals of Sudan. Sudanese nationals residing in the United States with TPS are authorized to remain in the United States until November 2, 2018, at which time, their TPS will expire. Honduras was designated for TPS on January 5, 1999, after Hurricane Mitch ravaged the country. Eligible Hondurans residing in the United States on December 30, 1998, who registered for TPS between during the initial registration period in 1999 were able to receive TPS. Since that time, Hondurans holding TPS who remained eligible, have been able to extend TPS every 18 months. November 6, 2017, Acting DHS Secretary Elaine Duke announced that the Department was unable to determine whether Hondurans warranted redesignation for TPS. Therefore, the Acting Secretary temporarily extended TPS for Hondurans through July 5, 2018, in order to allow the Department to conduct a more comprehensive review of the conditions in Honduras, and their impact on TPS for Hondurans in the United States. El Salvador was designated for TPS on March 9, 2001 after a series of earthquakes and landslides ravaged the country. Eligible Salvadorans residing in the United States since February 13, 2001, who registered for TPS during the initial registration period in 2001, have received TPS and an associated EAD since that time. The current period of TPS for El Salvador expires on March 9, 2018. It is unclear at this time whether DHS will redesignate El Salvador. With nearly 200,000 of Salvadoran nationals residing in the United States with TPS, the termination of TPS for El Salvador will have a significant impact on our communities. Nepal was designated for TPS on June 24, 2015 after a devastating earthquake hit the country. The current TPS period for Nepalis with TPS is June 24, 2018. It is unclear whether Nepal’s TPS designation will be extended beyond June of 2018. South Sudan was initially designated for TPS in 2016, due to the on-going armed conflict in that country. On September 18, 2017, DHS extended the TPS designation for South Sudan through May 2, 2019, due to ongoing armed conflict and conditions in the country. South Sudan is the most recent designation for TPS, and is in the mist of an on-going civil war. It is the only country that has received an 18-month extension of TPS under the Trump Administration. Somalia was designated for TPS on September 16 1991. It was subsequently redesignated for TPS on September 4, 2001 and September 18, 2012. The current TPS extension for Somalis living in the United States is set to expire on September 17, 2018. It is not clear whether TPS for Somalia will be extended by DHS. DHS designated Syria for TPS on March 29, 2012. The Department subsequently re-designated Syria for TPS on August 1, 2016. The current TPS period expires on March 31, 2018. It is unclear whether TPS for Syria will be extended by DHS. DHS subsequently re-designated Yemen was redesignated for TPS on January 4, 2017. Yemeni nationals residing in the United States since January 4, 2017, who registered for TPS between January 4, 2017 – July 3, 2017 have also been approved for TPS. The current TPS designation for Yemen expires on September 3, 2018. It is unclear whether the TPS designation for Yemen will be extended further. Sierra Leone, Guinea and Liberia were each designated for TPS in November 2014 after the Ebola epidemic swept through their countries. On September 22, 2016, former DHS Secretary Jeh Johnson determined that the conditions in Sierra Leone, Liberia and Guinea had improved such that a TPS designation was no longer necessary.